stai sempre molto bene con questo genere di look, io purtroppo non ancora riuscita a trovare qualcosa che mi piacesse con le frange! Ciao Lilli, lo stile boho ti dona molto. Mi piace questo cappello. due stili che amo insieme! stupendo questo mix! The vest looks so cool and goes very well with the boots! Love the combination of the boho and nautical themes. Very well done. Un'altra splendida interpretazione dello stile che ti si addice di più! Bellissimo il gilet!!! 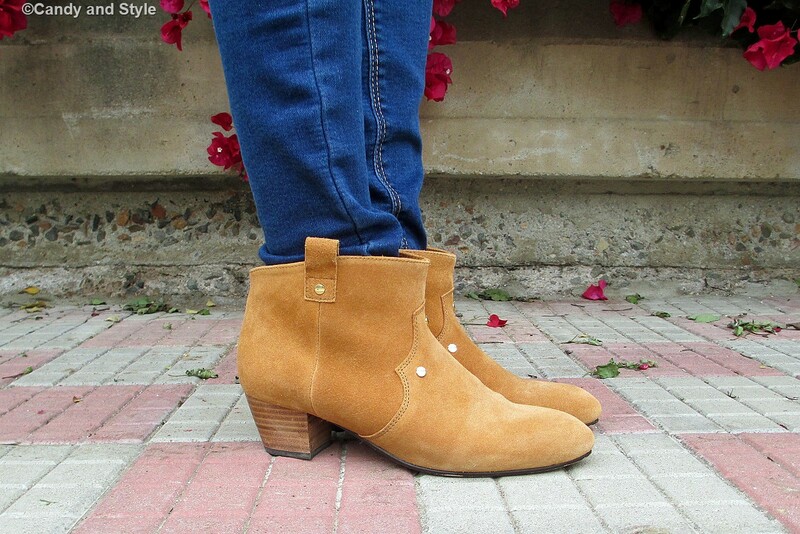 Io adoro il tuo stile boho, non mi stancherò mai di dirtelo! Stai benissimo come sempre e il gilet di Bershka è troppo carino! You combined these two distinct styles in such a chic way Lilli! I love your fringe vest and your accessories rock as always! Sai Lilly che il gilet sulla maglia a righe mi piace moltissimo? Stupenda e sempre più convinta che tu questo stile lo hai nel sangue. E' tuo. Adoro questo look! Un bacione tesoro. Hi Lilli, your fringe vest makes your outfit really boho chic. I like wearing stripes too. 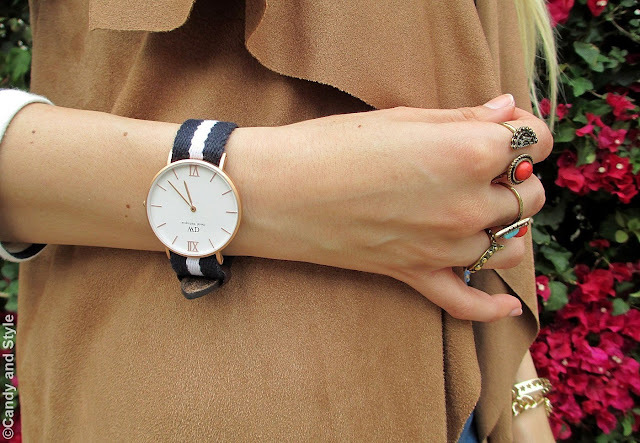 Perfect mix, love suede and denim make a good match! You look really good in this outfit, Lilli! 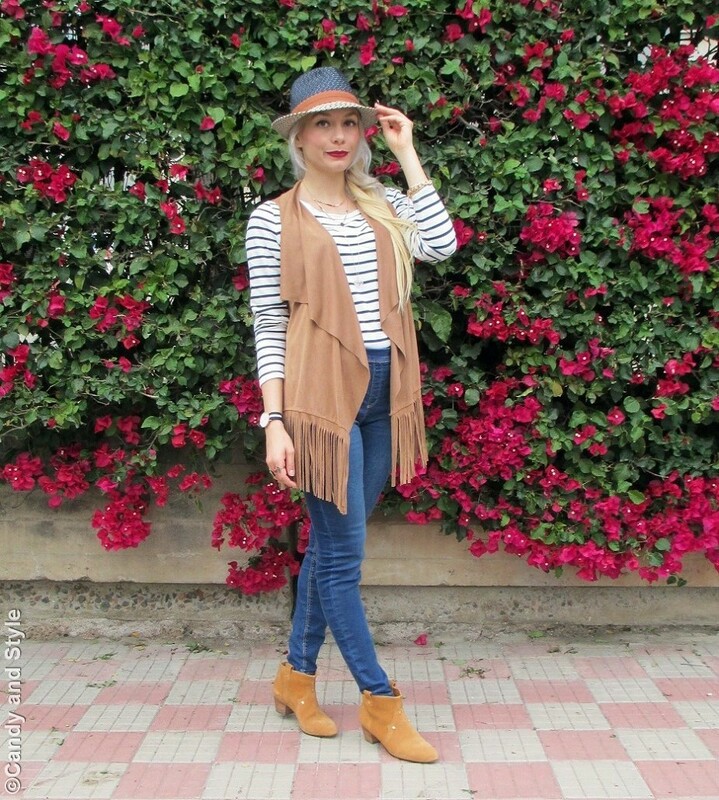 Love the fringe vest and the hat. What an incredible outfit! 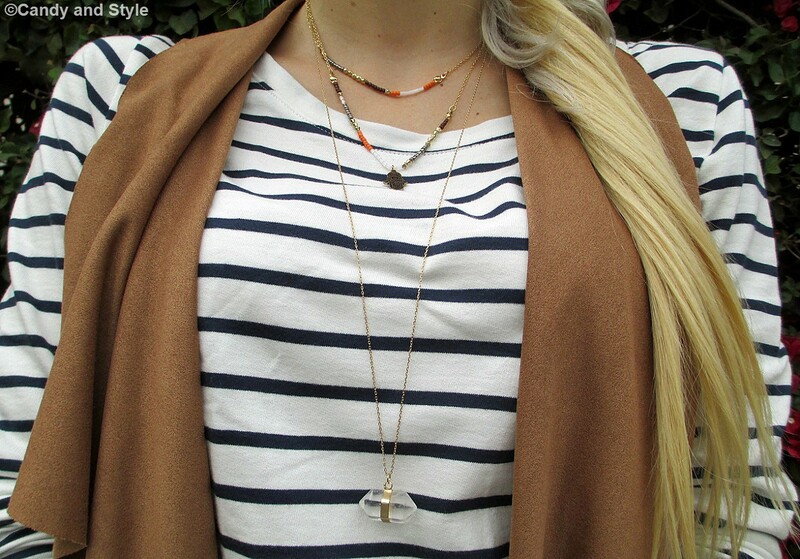 I love fringes so much and this piece is perfect to layer with! Your accessories are fantastic! I love a striped tee and that vest goes perfectly with it Lilli! You can rock fringes. Also love that DW watch. Awesome outfit girl! That vest is so unique and original! It looks great with your booties! Have a great weekend Lilli! Kisses!! !